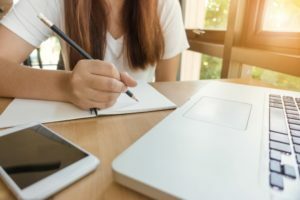 Parents often admit to the joy they’ve had homeschooling their children through primary school, but feel daunted at the thought of homeschooling them through high-school. Questions like, “How will we ever get through Matric? What about little things like the Matric dance? And, What about sport?” plague their thoughts. One thing to remember is that homeschooling doesn’t miraculously change the moment our children leave primary school after Grade 7 and enter high-school for Grade 8! Homeschooling is a blessing all the way through primary school; and it remains so through high-school. 1. There is peer pressure to consider. There are not many teens that are mature enough at the age of 13 to withstand constant peer pressure! Our children’s identity can so easily become wrapped up in their peer group’s. They want to be one part of the “in” crowd. And the wave of peer pressure that our children who are coming out of even a Christian homeschool environment encounter when entering a high-school – even a Christian high- school! – can be absolutely overwhelming! 2. There is the blessing of family relationships. You have worked so hard over the years to build strong relationships that will last a lifetime. Home-schooling is a ministry of discipleship – period! That discipleship does not evaporate in high school! It’s the very time our discipleship of our children should be stepping up a gear! Healthy relationships result in confident children. If you place your child in the local high-school, you will be separated for seven or more hours a day. You may not notice it at first, but little by little, changes to the way your son or daughter behaves, will appear. The family relationship starts to erode – just a little at a time. Remember that you are more than a parent; you are your child’s mentor! As our children enter their teens, the friends they choose can have an enormous impact. You can help them to choose wisely. 3. You have provided an excellent foundation academically to this point. One-on-one interaction has been so effective. A high-school dilutes this approximately thirty-fold! 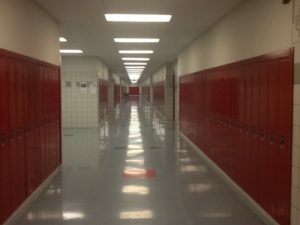 There is so much wasted time at school – between assemblies, sports meetings and more – that easily 40 – 60% of the school day is given to interruptions and not to academics. If you have a child that is a whiz at science, you are able to tailor the learning and the curriculum to suit his needs. It is not news to many of us that homeschooled children can matriculate early. If you have a child in this category, placing them in the high-school will merely stifle their progress. 4. Your love and support is always present. Suffice to say, will any high school support your child the way you do? 5. What about important life-skills? This is the time you can train and instruct in such a critical area. If you run a business from home, your children can begin to get involved. What an awesome life-skill you will be passing on. Also, the moment you place your children in school you lose all the flexibility that comes with a homeschooling life-style! If you are used to this life-style, the rigid, inflexible schedule could come as a nasty shock to everyone. You may think that learning to adapt to a rigid schedule is important, after all, your child’s boss won’t take kindly to them arriving at work at 10am! However, this lesson can be achieved in so many other, more positive ways than the high-school environment! 6. The news has repeatedly featured articles on the death of children through drugs, bullying and violence at schools. The crisis is getting worse and not just in South Africa! There is still no place like home, and it is a safer option than any school! 7. Finally, there is the issue of faith. Hebrews 11:1 tells us, “Now faith is being sure of what we hope for and certain of what we cannot see.” God’s Word also tells us in Hebrews 1:6, “And without faith it is impossible to please God.” Has God let you down thus far? Is He likely to let you down when you homeschool through High School? Enough said.